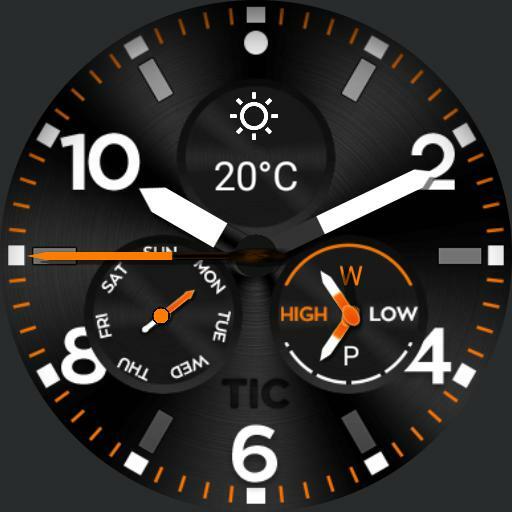 replica of Metalorange ticwatch. tap to Weather to switch step, km, cal. tap 3 o 9 to dimmed/always on regulation, Central tap for luminosity. burn in inside.